It's a good year for whale watching, on track to be the second best year ever after the record-setting 2014-15 season. 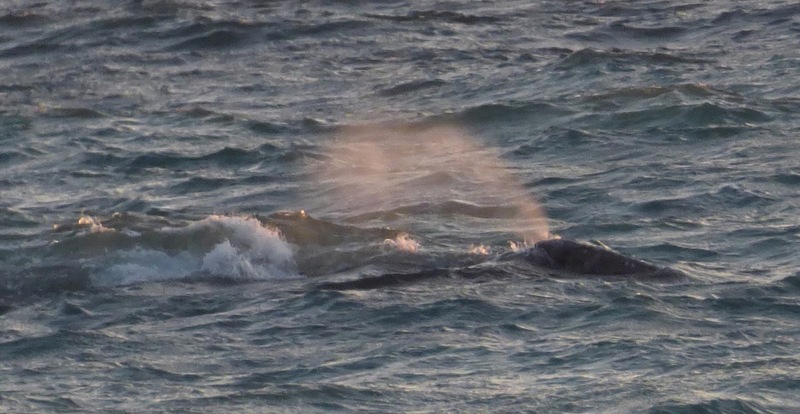 According to the American Cetacean Institute's Gray Whale Census Project, a total of 1,407 southbound and 747 northbound whales have been observed so far by volunteers at Point Vincente. 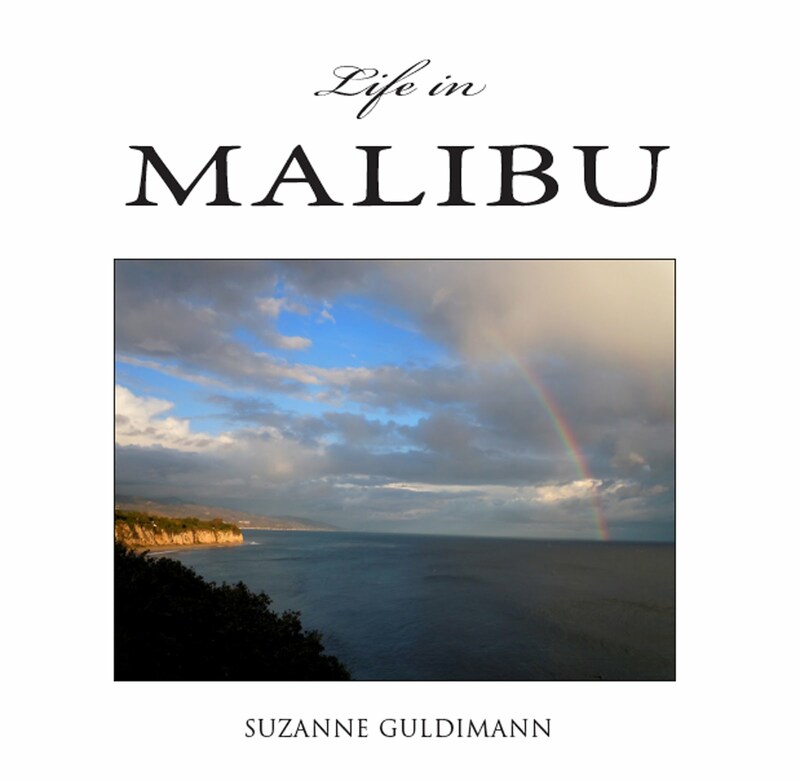 I had the opportunity to write about the whale migration and the ACI's program for the Malibu Surfside News last month. You can read that article here. However, it's challenging to fit everything one would like to share into a newspaper article—gray whales are one of the largest living animals, after all—so here's an update on the 2016 gray whale migration, from a front row seat at Westward and Zuma beaches. No matter how many times one has witnessed the annual migration, the sight of the first whale of winter is pure magic. The first sightings of southbound whales start in December. By early March, the northbound migration is well underway. Cows with newborn calves often stay close to shore, passing by Point Dume and sometimes tarrying in the shallow water at Westward or the deep coves along the west Malibu coast before continuing north on a journey that takes these giant mammals all the way from Baja to the Arctic. Spouts are the easiest evidence of whales to spot. 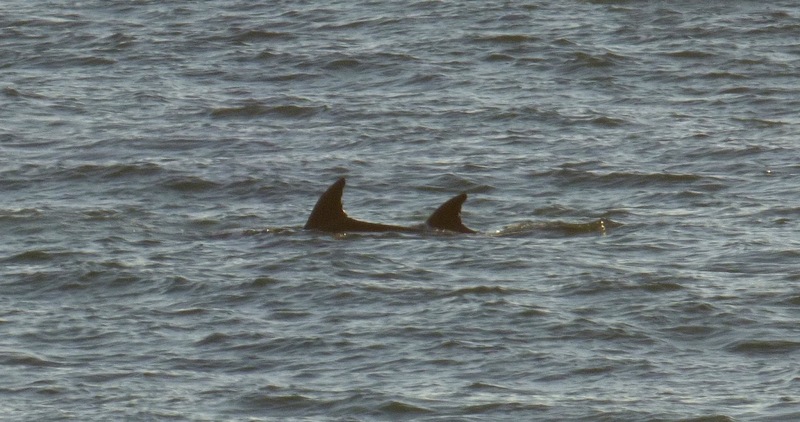 This is a mama and baby surfacing together. Gray whales breathe through two blow holes, producing a distinctive V-shaped spout that is often described as "heart-shaped." Unless I'm lucky enough to get a close, head-on look like this, it usually looks more like steam puffing out of a tea kettle to me. The flukes, or tail, of the gray whale can grow to be 12 feet wide. If you're lucky, you may see a whale "tail-lobbing," but it's more common to see just part of the tail, like this fluke lobe. Gray whales range from medium gray to almost black. The white spots and blotches are scars and discolorations from barnacles and other parasites. Researchers can often identify individuals based on the pattern of spots and scars. 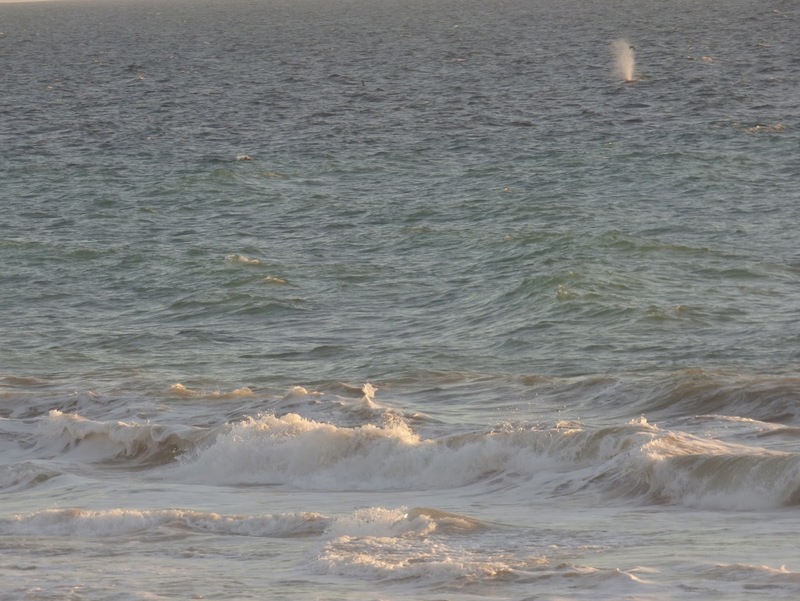 Any time you spot a gray whale flipper poking up there's a good chance the whale is foraging for a snack. 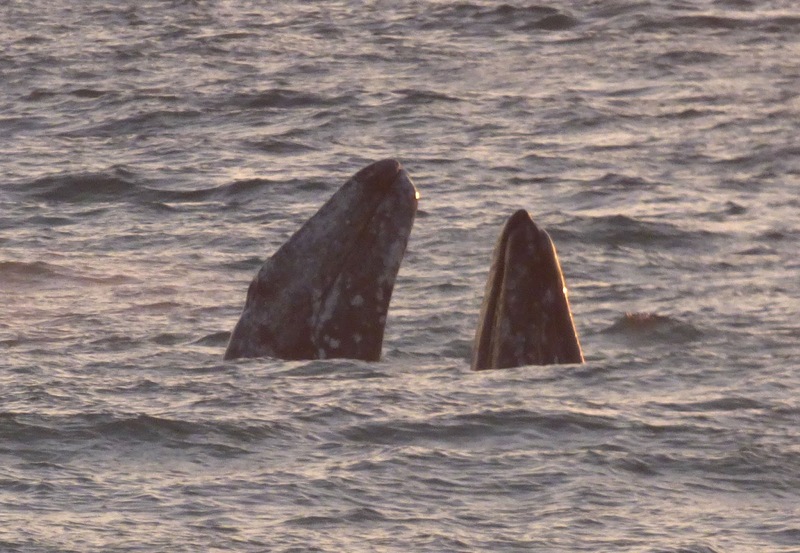 Gray whales scoop up mud from the sea floor. Instead of teeth, they have flexible baleen that functions like a sieve, washing out sand and dirt and retaining a mouthful of tasty benthic crustaceans, including krill and other tiny arthropods that are this giant's sole food source. 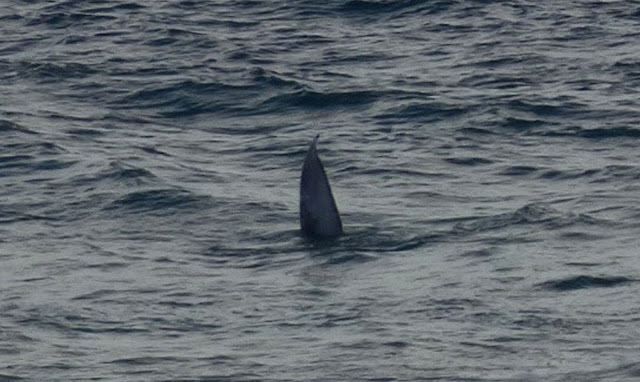 Observers sometimes confuse a gray whale's flipper with the dorsal fin of the dolphin. The shape is similar, but the whale's flipper is much larger and not as curved as a dolphin fin. 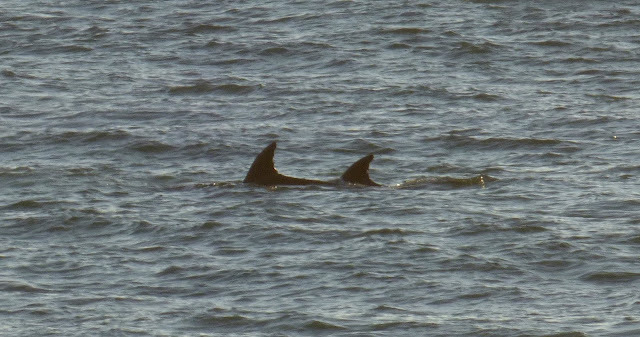 These fins belong to a pair of dolphins that were swimming with the whales. 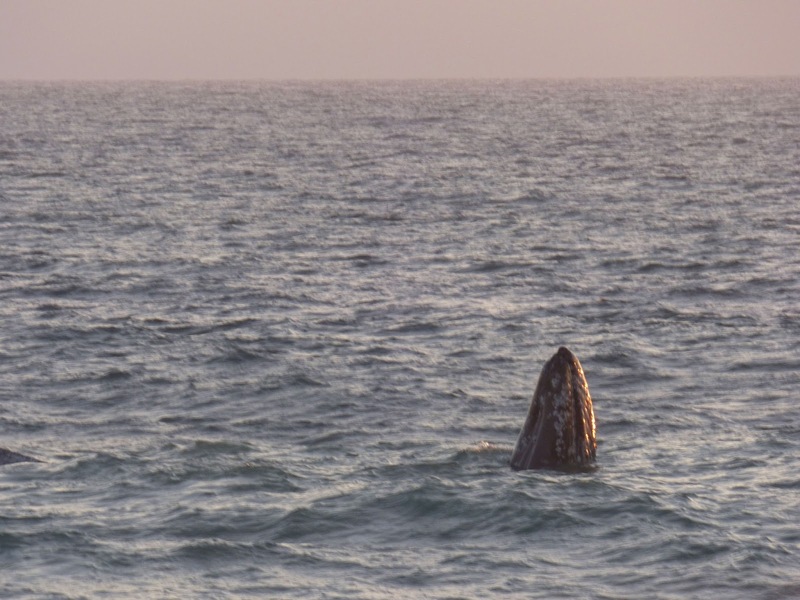 Gray whales don't have dorsal fins, instead, they have a "dorsal hump." 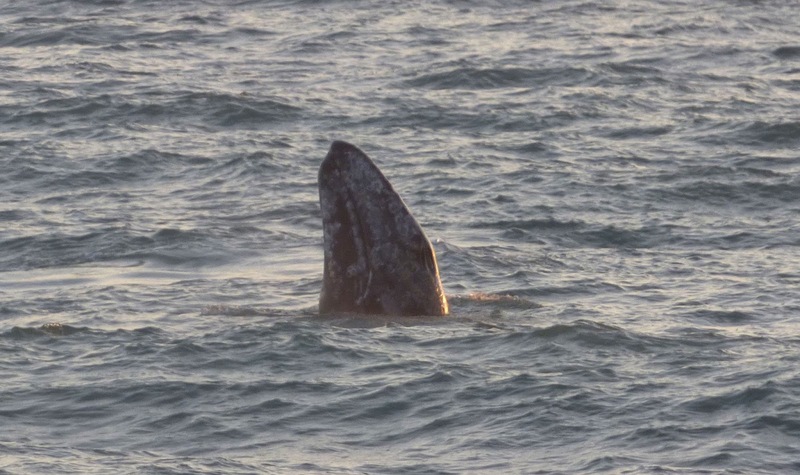 Some gray whales have a prominent row of bumps, called dorsal knuckles, that make them resemble the classical sea monster. 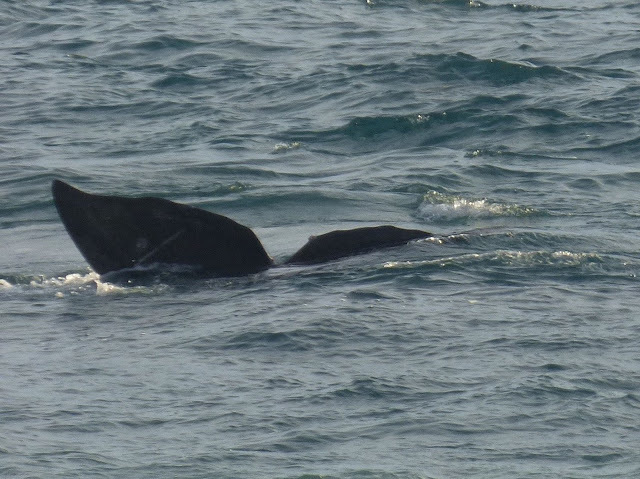 Only one of this trio of whales has the conspicuous dorsal ridges. 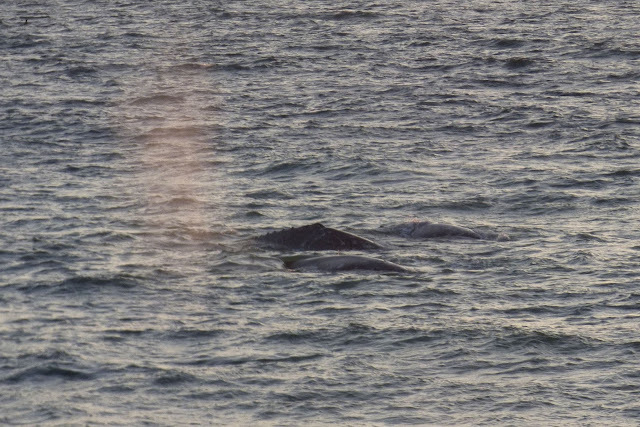 Gray whales often seem to travel in small groups, staying fairly close together, which can increase their resemblance to a sea monster. 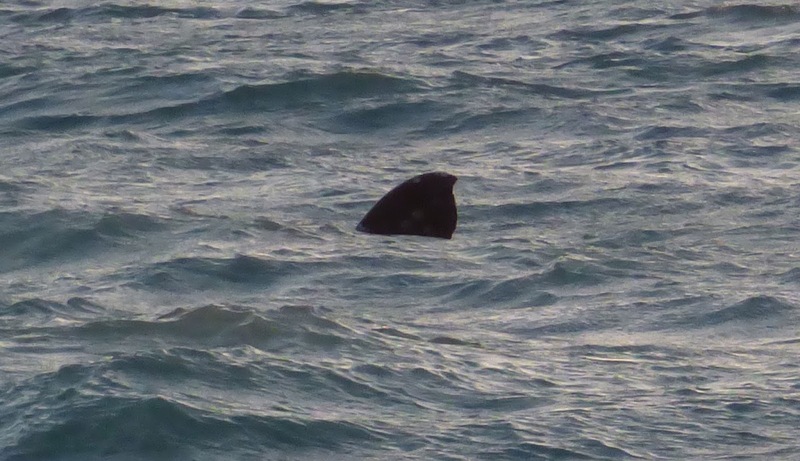 Calves frequently swim above the cow, and stay close for protection from white sharks and orca. This is the largest gray whale I've seen this season. Judging from the size of the dolphins that were keeping it company, it must have been close to 50 feet in length, the upper range for a gray whale. It's tempting to imagine gray whales, like the one sneaking past these two whale watchers, may enjoy people watching as much as humans enjoy whale watching. In reality, the whales are too busy with their own concerns to pay much attention to us. That's why whale experts strongly recommend kayakers, paddle boarders, surfers and swimmers stay a respectful distance away. The gray whale migration usually lasts until late May. 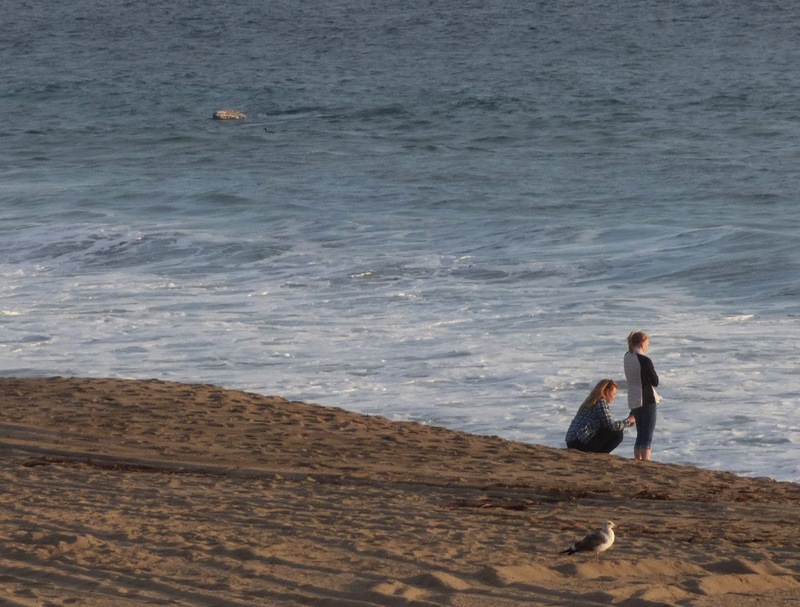 There are all kinds of amazing whale watching boat trips available, and volunteers are always needed for the ACI whale census down at Palos Verdes Peninsula, but for many local whale watchers, the best place to be is at Westward or Zuma Beach. These beaches always seems strangely empty when the last migrants have passed by, despite the beginning of the human summer beach migration. It's comforting to know that, thanks to the work of generations of conservationists, the whales will be back again next winter. It would be so cool to go whale-watching! 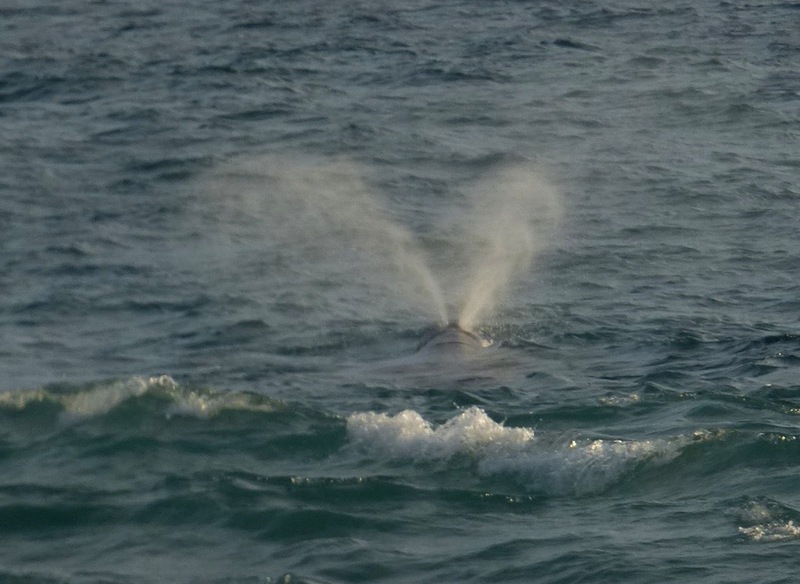 It’s fascinating to know that the gray whale tail can grow up to 12 feet wide! The size comparison drawing of a human and a whale is astounding; those animals are really huge! I love the pictures that you’ve taken; all I can say is wow!